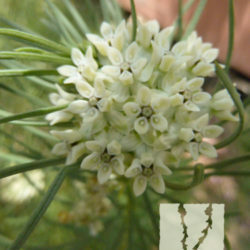 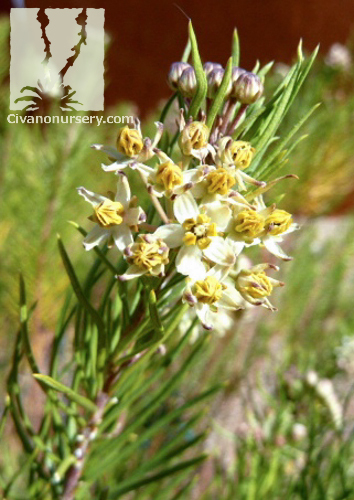 Pineleaf Milkweed stands out from its relatives with its unique foliage, similar to a pine tree. 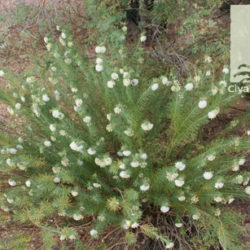 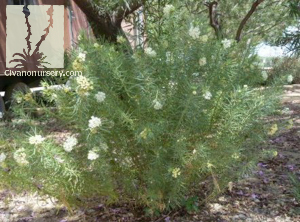 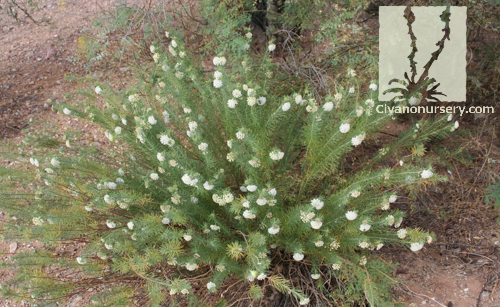 Bright-white flower clusters emerge in springtime and stick around through fall. 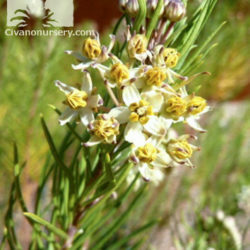 The leaves and flowers are an important food source for the Queen and Monarch butterfly larvae, whereas the nectar is a favorite of the adults. 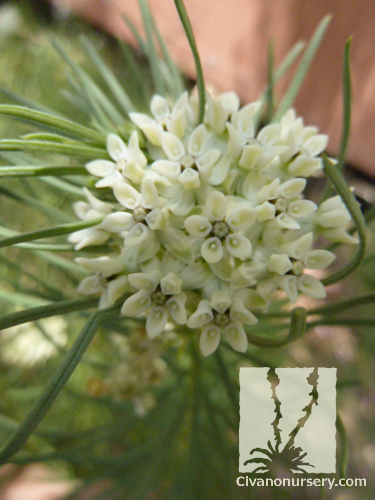 Though the Pineleaf Milkweed looks like it has a delicate disposition, don’t be fooled. 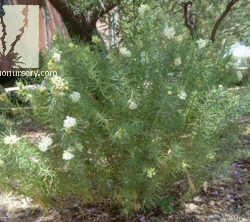 It’s extremely drought tolerant, and will thrive beside buildings and hot walls with intense reflected heat, where others will wither. 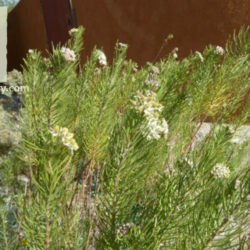 Pine needle-like foliage offers interest and contrast in a low water landscape. 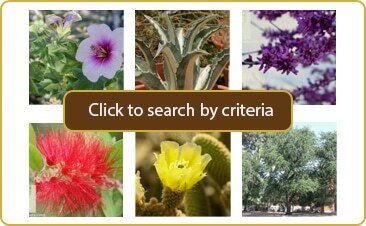 Plant several individual plants in one area for a dramatic appearance. 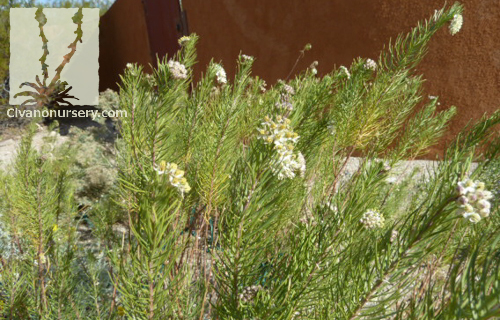 Mix with other low water perennials like Autumn Sage or Penstemon for a pop of color.